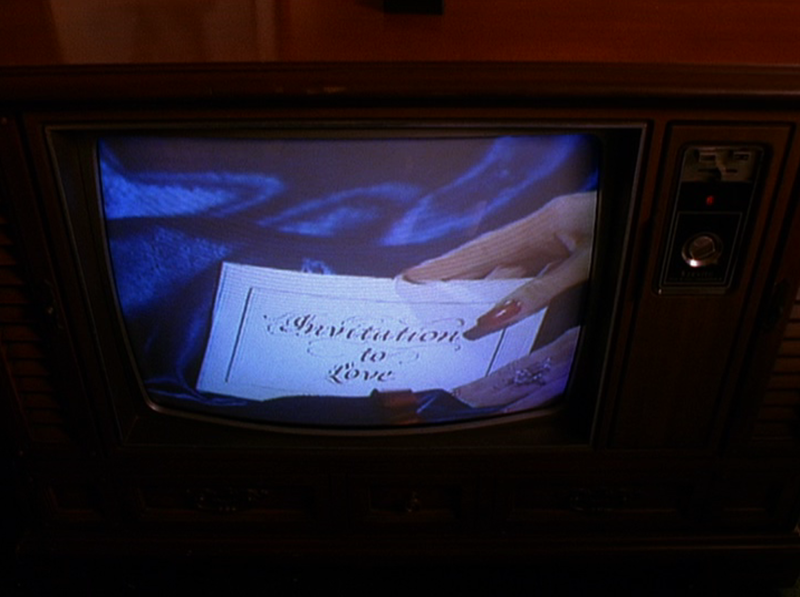 The TV sets of Twin Peaks are always tuned to Invitation to Love, a cheesy, over-the-top soap opera whose events often mirror what's going on in the town itself. Chet Weems (played by the fictional actor Martin Padley) is a nebbishy little guy embroiled in a web of intrigue and desire. He is married to the good-hearted, clean-cut Jade (Selina Swift) but tempted by her sultry, vampy, big-haired sister Emerald (also Selina Swift!). Emerald and Jade are the daughters of the wealthy but embattled Jared Lancaster (Evan St. Vincent). Emerald has teamed up with the very eighties-looking (headband and jean-jacket vest) scoundrel Montana (Jason Dimbo) to take advantage of the nobler Lancasters. 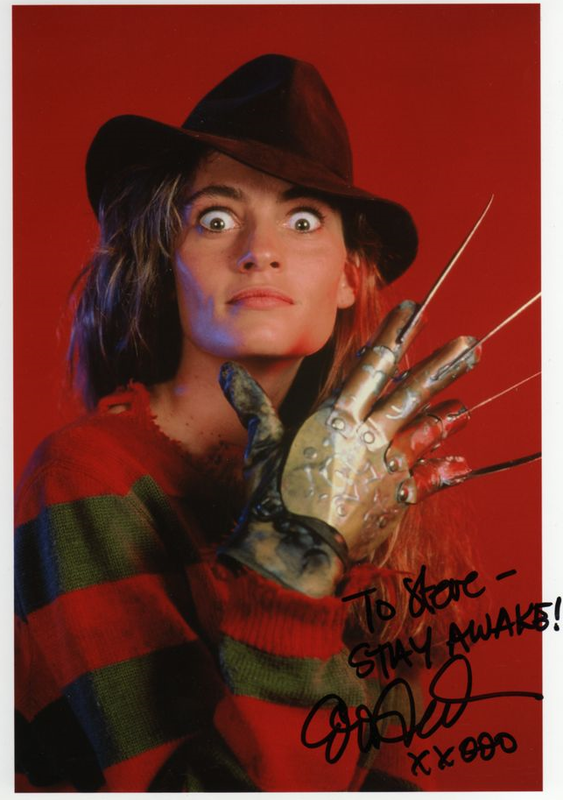 Picking up where the previous clip left off, we are now introduced to the various characters and the actors who play them – including twin sisters, one good one, one bad, who are played by the same actress. Then Jared writes a letter to his daughters, stating that he must kill himself due to his financial troubles. Jade bangs on the door, desperately trying to get him to open. 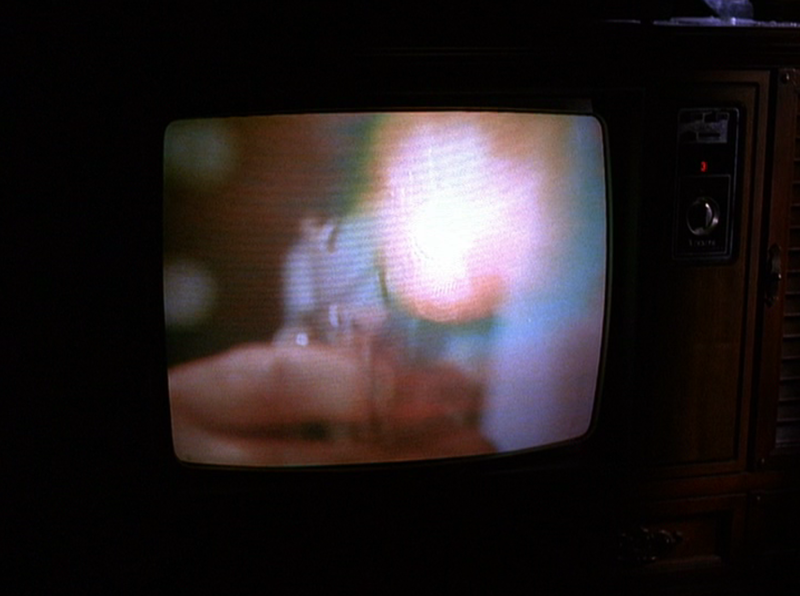 Leland Palmer receives a shot from a nurse on his living room couch. He stares glassy-eyed at the TV until someone enters and calls to him. His neice Madeleine, who looks nearly identical to his dead daughter Laura, has arrived for her cousin’s funeral. Catherine Martell and Ben Horne sip champagne following an afternoon tryst at the Timber Falls Motel. They discuss their plan to burn down the Packard Sawmill (their own conniving, of course, echoes the content of the Invitation scene, which is only heard playing faintly in the background). Montana slaps Chet around and laughs wickedly. Jared is bound and gagged in the room with them. The episode ends and the announcer tells us to tune in tomorrow. Shelly is fresh from the salon with a bouffant hairdo. But her expression is solemn as she sees her boss/friend reunite with an ex-con husband. Shelly turns toward a little TV in the kitchen of the RR Diner where she watches this troubling scene unfold. 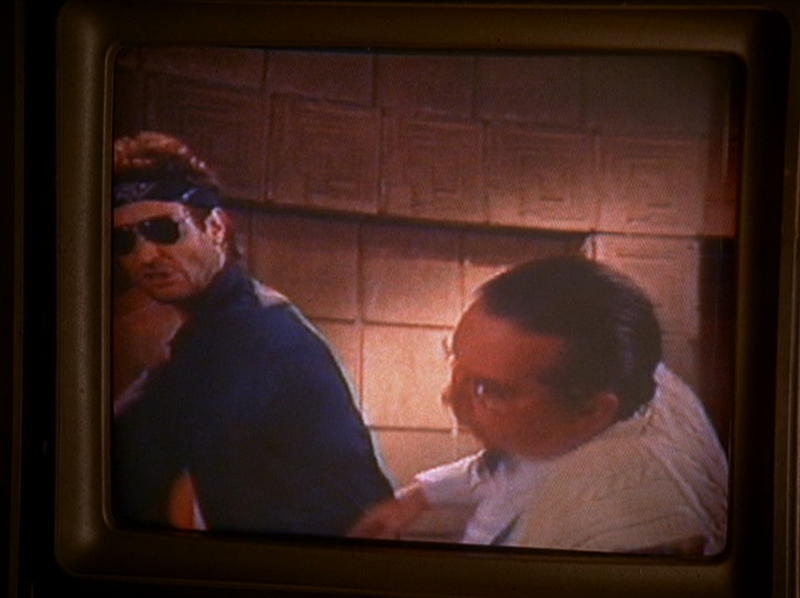 A defiant Chet, awkwardly holding a gun, shoots Montana and recoils from the blast. Montana is hit in the shoulder and slumps down a pillar. Again, the announcer teases for the next episode. Nadine Hurley sits quietly on her living room couch eating bonbons and grieving her failed patent for silent drape runners. “You show ‘em, Chet,” she murmurs as her husband Ed enters and the show ends (the music continues to play over their interaction). After being shot, Montana slowly drops to the ground, staring in disbelief. 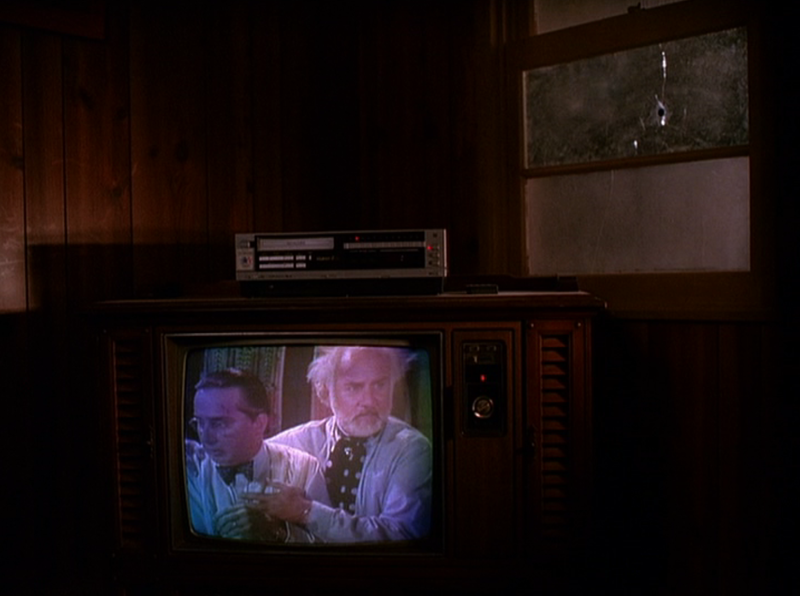 Leo Johnson is about to kill Bobby Briggs with an axe (Bobby bumps against the TV and turns it on, perhaps activating the VCR to play an earlier recording). 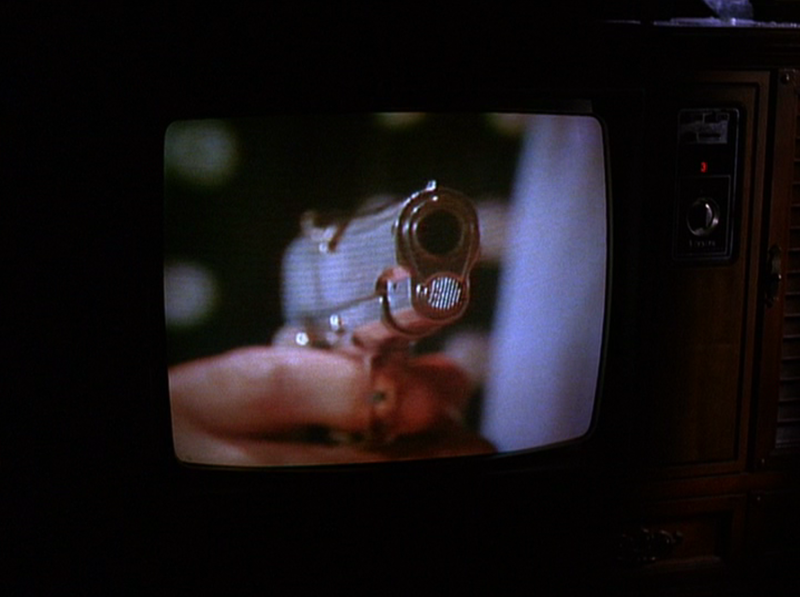 Unexpectedly, Leo is shot through the window by Hank Jennings and then Bobby leaves his would-be killer to bleed out. 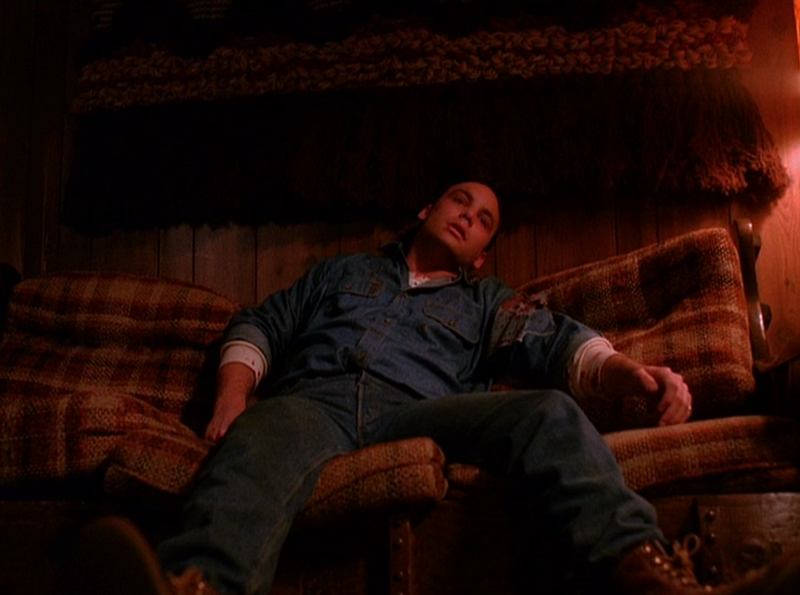 Leo, losing consciousness on his own living room couch, is forced to watch a fun-house reflection of his own fate. The announcer and theme music carry us into an argument between Chet and Emerald in which he compares her unfavorably to Jade. Leo is still alive, but he’s comatose, with very little brain activity. Shelly is attempting to feed him. He spits up on her and Bobby ducks out, telling Shelly he has more important things to do than care for his handicapped ex-rival. 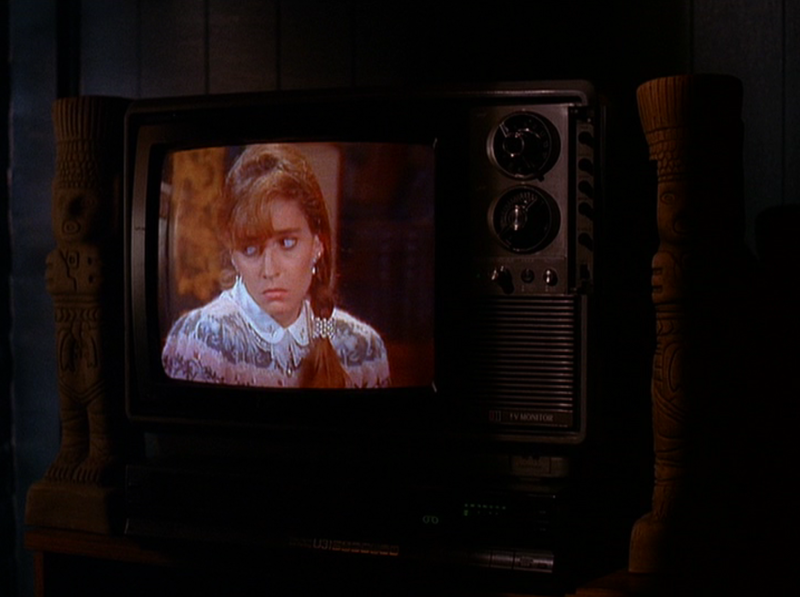 Shelly slaps him and shouts in frustration as the music plays – she’s not watching the TV, it’s just playing in the background almost like a radio drama. Of course, Invitation to Love – set in a ritzy high-rise in some city far away – doesn’t offer us any additional insight into the physical environment of Twin Peaks. It does, however, comment directly and repeatedly on the events of the small town. The whole, obvious idea of this soap opera is to wink at the audience, letting us know that Twin Peaks is in on the joke of its own soapiness. However, the over-the-top, intentionally poorly-acted and -written series also creates an implicit contrast; “We may be a soap,” the writers tell us, “but at least we’re not this ridiculous.” The characters are all incredibly clichéd cartoons which also works both ways as a comment on the show’s own ensemble. 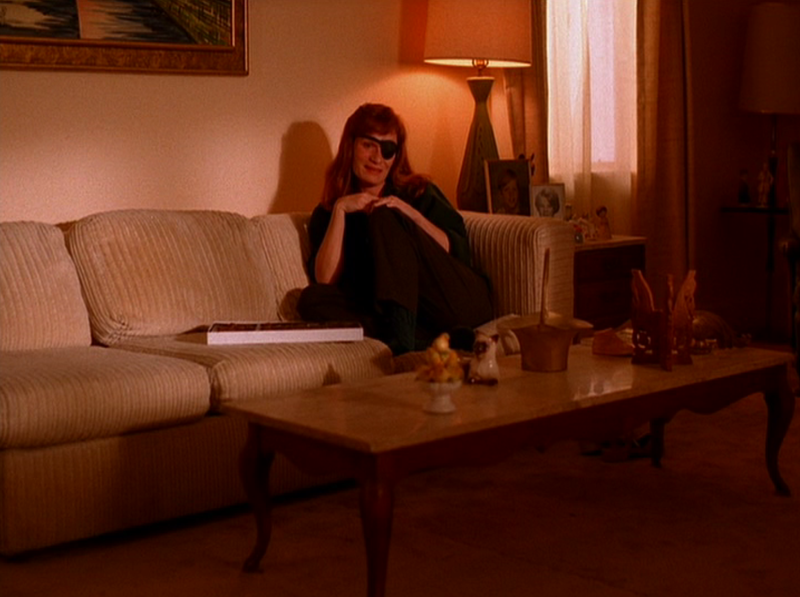 Because of its ambiguous Greek chorus role, underlining and distancing Twin Peaks from its own melodrama, Invitation to Love often invites the term “postmodern.” Unsurprisingly, hip critics of the early nineties seized on this element as much as any other to pin down the type of series Twin Peaks was – to confirm that the whole thing was a big, knowing joke, however lavishly produced. Interestingly, Invitation to Love was mostly dropped in the second season, compounding the media’s difficulty in dealing with the show in the long run. Of the characters we’ve studied so far, perhaps only Einar and Rusty are as self-consciously one-dimensional as Chet, Emerald, Jade, Jared, and Montana. 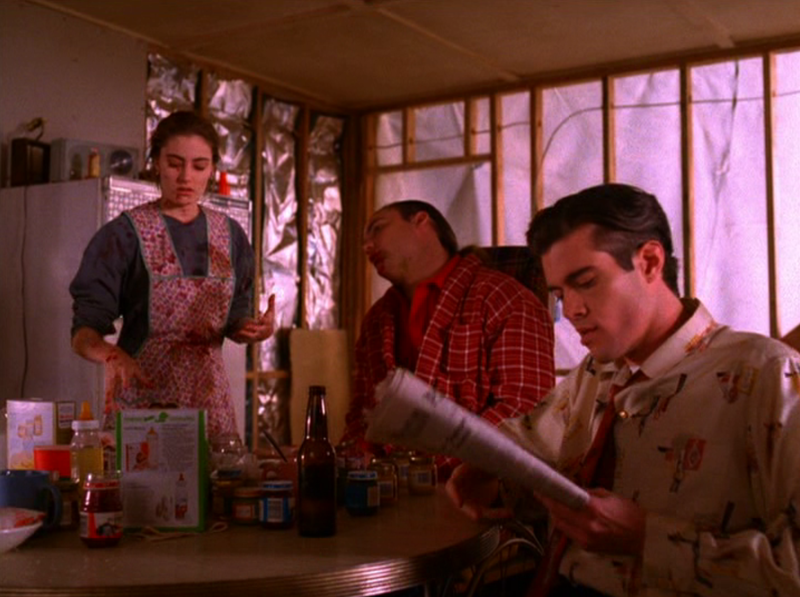 Other melodramatic figures like Nancy don’t seem particularly jokey at all, adding to the impression that occasionally Twin Peaks skirted the edge of becoming an un-ironic Invitation to Love in season two. The series is mostly used within a brief range of episodes (the characters only appear onscreen in four, back-to-back during season one). 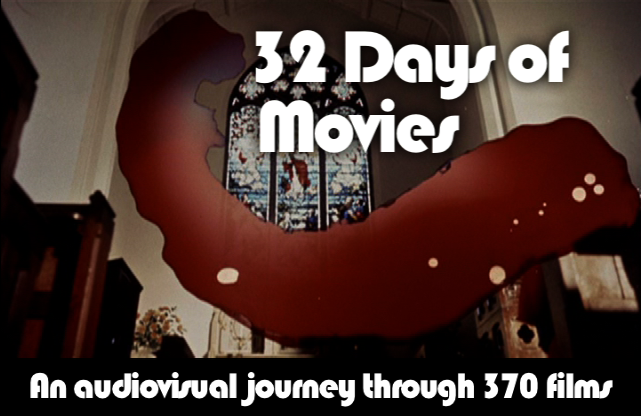 That plus the fact that all of the scenes were filmed on video in a single shoot on one day makes it difficult to talk of any sort of “evolution” or “arc” for this fictional-within-fictional ensemble. From the first appearance to the last, Invitation to Love is a goofy, on-the-nose commentary on the very scenes it appears within. 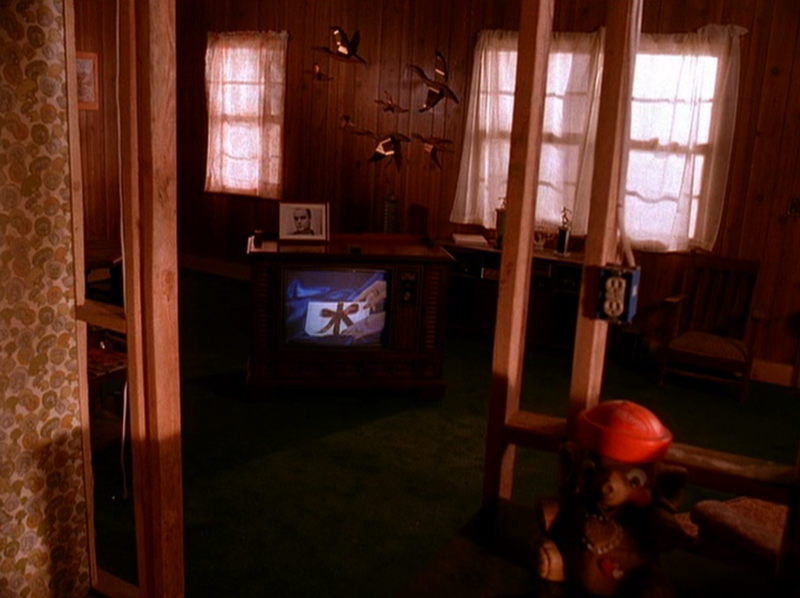 What makes more sense to discuss, in terms of the Invitation’s development, is its disappearance from Twin Peaks – a disappearance whose impact is felt in several ways. As many critics noted, the departure of this mock-soap contributes to a less playful tone in season two, at least initially, alongside growing violence and a slower pace (in some ways, this returned the series to its roots in the pilot, at least temporarily). Also, Invitation ties the various characters’ threads together and make them feel like part of the same universe; when this glue evaporates, so does any sense that Peaks’ various subplots share common ground aside from mere geography. 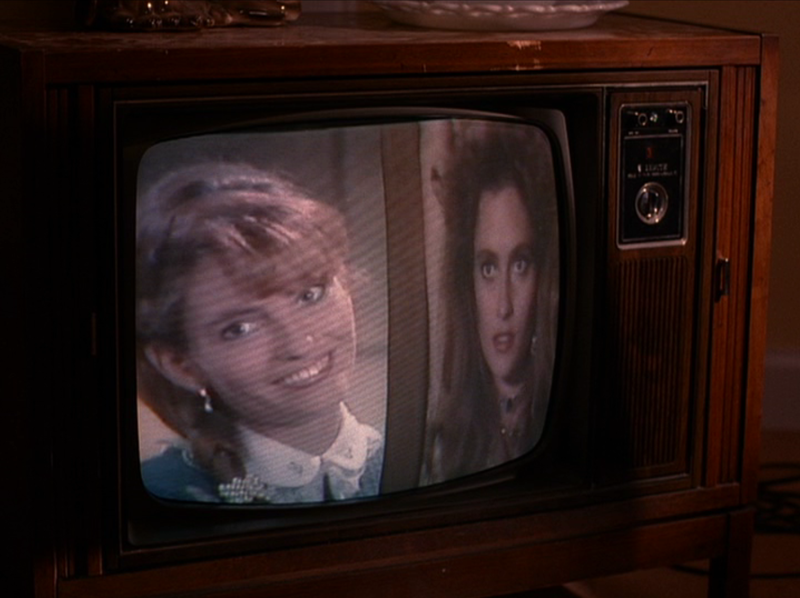 Finally, as the show itself snaps back from the darkness and becomes very exaggerated and silly following the resolution of Laura’s mystery, the long-gone Invitation wouldn't fit in anymore: the series itself is on the verge of becoming its own spoof. When Invitation is resurrected in episode 21, after vanishing for fourteen episodes, it feels like nostalgia for the lost pleasures of season one. For better and for worse, season two is marked by the absence of the reassuring, amusing characters from Invitation to Love. 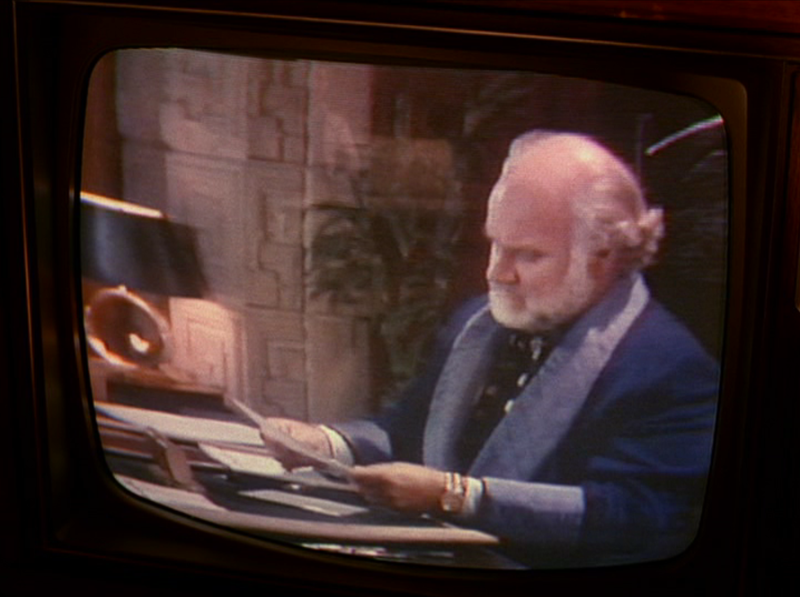 Although these characters appear in many episodes written and directed by different people, the segments themselves were all written and directed (with improvisation encouraged) by Mark Frost in a single day, on video at the Ennis-Brown House (designed by Frank Lloyd Wright). Including Lucy’s explanation of the plot, Invitation to Love occupies roughly six minutes of screentime. The characters appear in nine scenes and seven episodes – receiving the most attention in episode 4 when Lucy explains the plot and Catherine and Ben play the TV in the background (Invitation has the most visual screentime in episodes 6 or 7). The primary viewing location is the Johnson house, with Shelly as its #1 viewer. 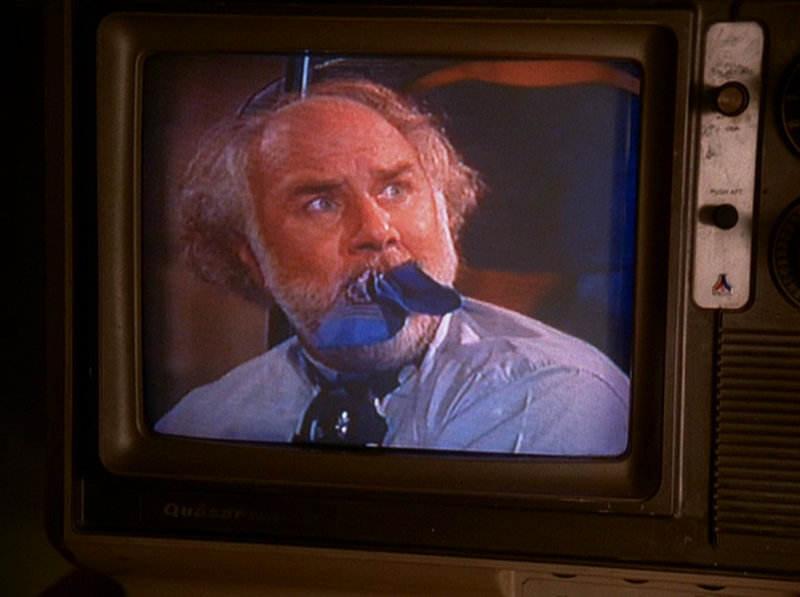 As for the individual characters on the show, Chet appears to be featured the most, followed by Montana. 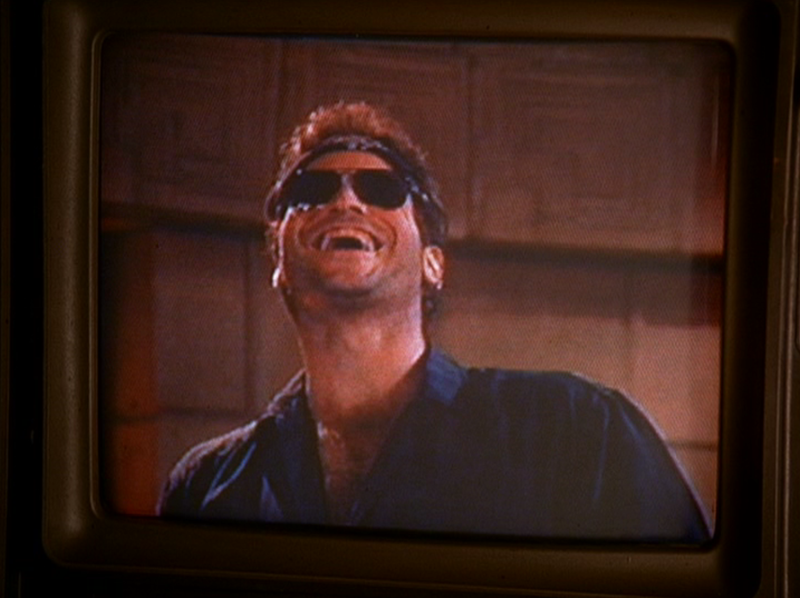 Episode 5: Montana slaps Chet to the ground and belts out a wicked laugh as the camera closes in on him. 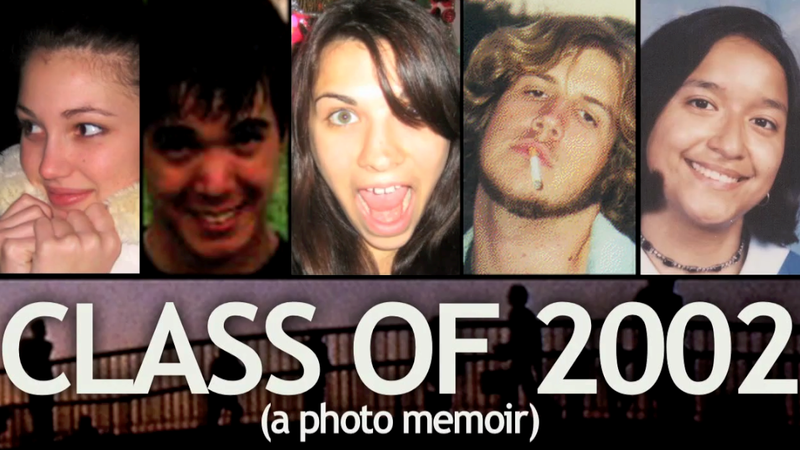 It’s hilarious, and reminds me of the self-consciously dumb action videos I used to make with friends as a kid. • What did David Lynch think of Invitation to Love? 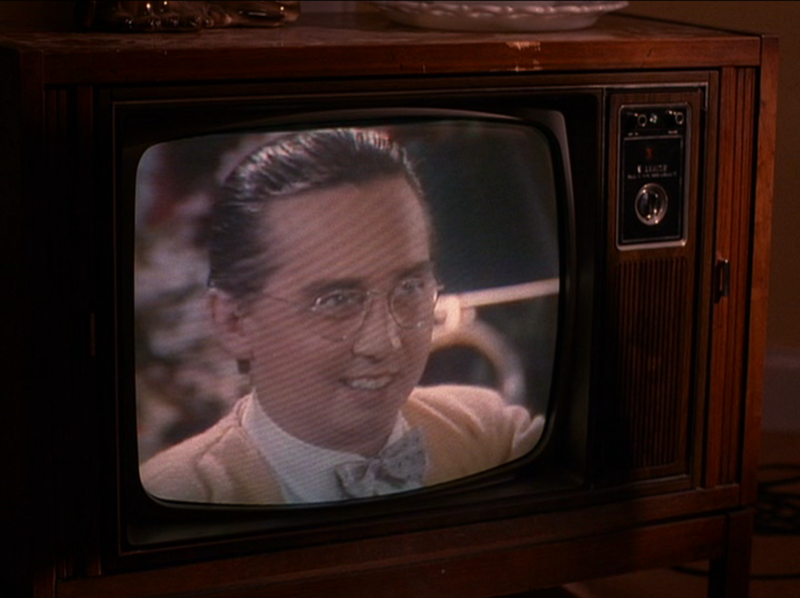 Critics, swooning over the Lynch legend as well as the postmodern soap-within-a-soap device, often conflated the two elements. 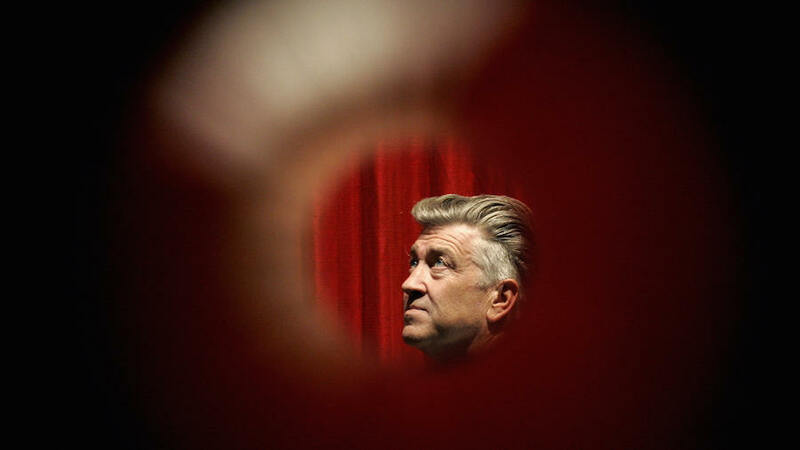 But in fact Lynch had almost nothing to do with the execution of Invitation (unless, by “execution,” we mean the way it was axed from Twin Peaks). 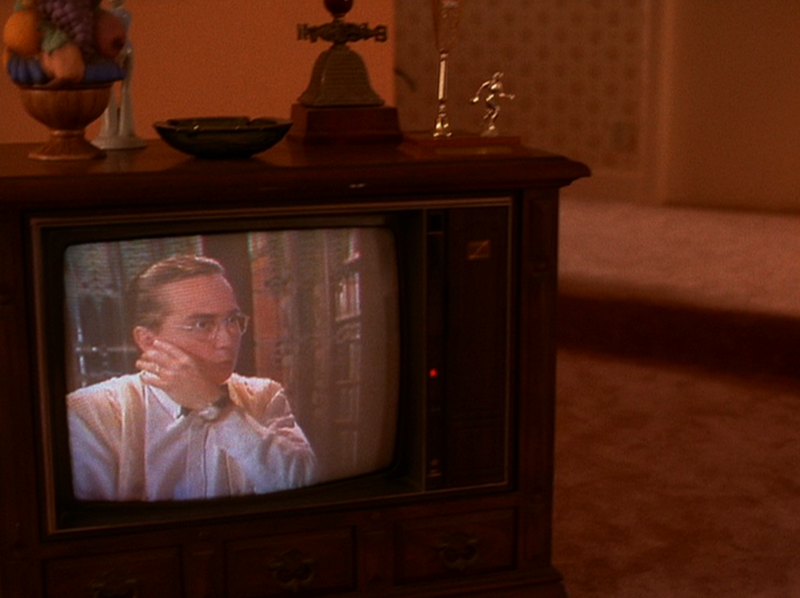 Rumored explanations for Lynch’s apparent disapproval range from the aesthetic (Davis says Lynch “didn’t like video” – a taste that obviously changed by Inland Empire) to the narrative (Lynch scholar Martha Nochimson claims that he disapproved of the sarcastic, goofy tone Frost struck with the material, having envisioned the soap as a more earnest mirror for the content of Twin Peaks, however distorted). 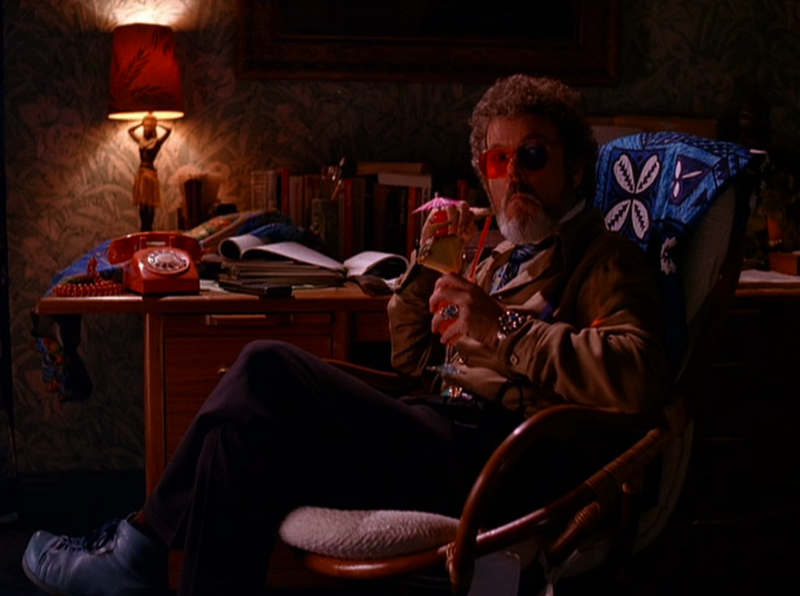 In his 2001 DVD commentary, writer Harley Peyton also suggests Lynch found the device and/or approach too on-the-nose; regardless, Invitation to Love was conspicuously absent in season two (save for that one audio sample) and most seem to agree that Lynch was the reason why (though budget considerations have also been broached). 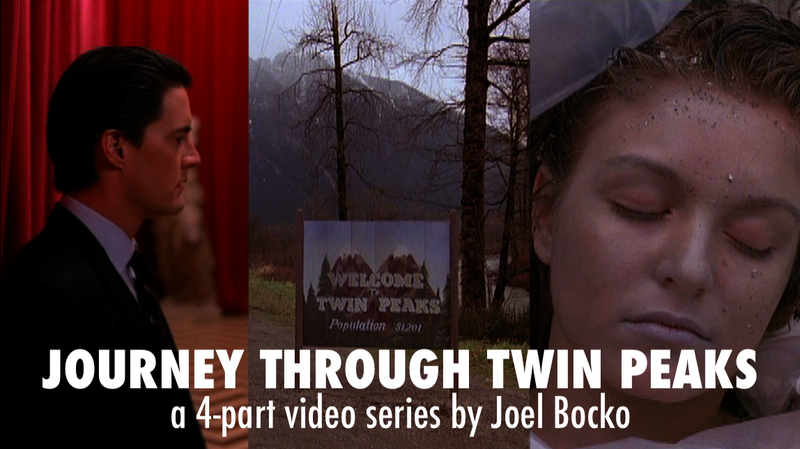 • Nonetheless, there were plans at one point to bring the Invitation ensemble – meaning one or all of the fictional actors Padley, Swift, Dimbo, and St. Vincent – on a promotional visit to the town of Twin Peaks, adding to the meta-confusion of the series. Some have suggested that perhaps this abandoned storyline evolved in the “M.T. Wentz is coming to town!” subplot, with its decidedly less clever hook. 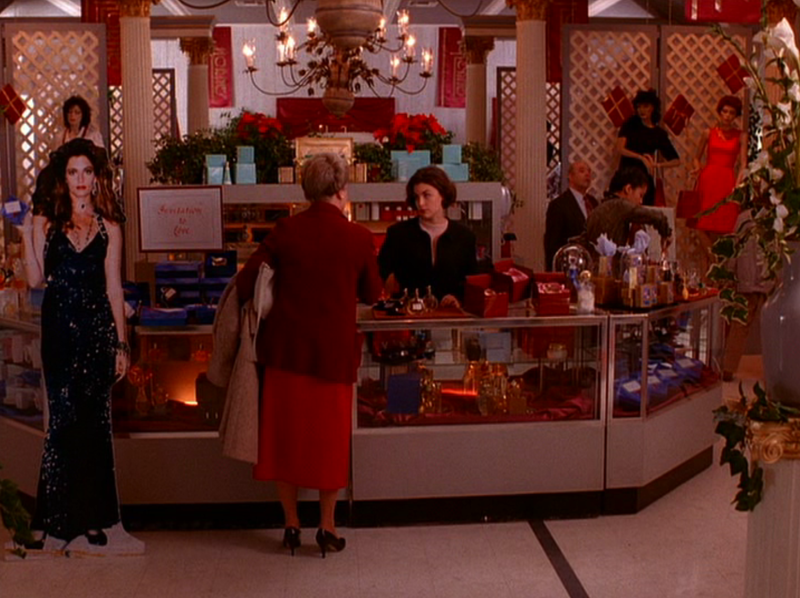 • Look closely at the perfume counter where Audrey works for her father – there is a life-size cutout display of Emerald promoting one of the store’s products. It’s a cute world-building gesture, one that could have paved the way for the “soap celebrities arrive in Twin Peaks” story had that gone forward. • I couldn’t figure out the identity of the announcer for Invitation to Love. If you know, please share below! • Update 2018: This entry was written in 2017, before the third season, and did not need to be revised as the Invitation ensemble did not re-appear. Only the description/intro at the top and the ranking were updated. 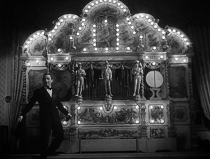 Since the criteria for inclusion was changed (originally three scenes with dialogue, now ten minutes of screentime), they retroactively became a "bonus entry" rather than part of the full rankings. In the original character series, the Invitation ensemble was ranked #66, between Jones and Eckhardt. SHOWTIME: No, Davis, Anderson, Goetz, and Giolito are not on the cast list for 2017. 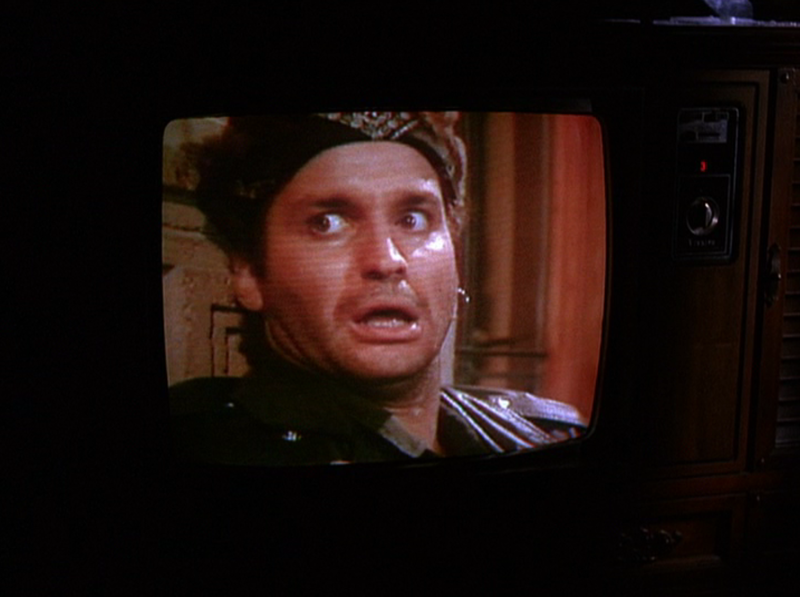 I’m not sure the classical soap opera has the same hold on popular culture today that it did twenty-seven years ago. I have my doubts that the new Twin Peaks will employ the soap format as readily as nineties Peaks, and as such a soap-within-a-soap device wouldn’t have as much resonance. Regardless of why, it seems Invitation to Love has been irrevocably “cancelled.” On April Fools Day, a tongue-in-cheek Welcome to Twin Peaks mourned the news that Invitation to Love was not coming back, citing a fictional “No Invitation No Peaks” movement as evidence of fan backlash. 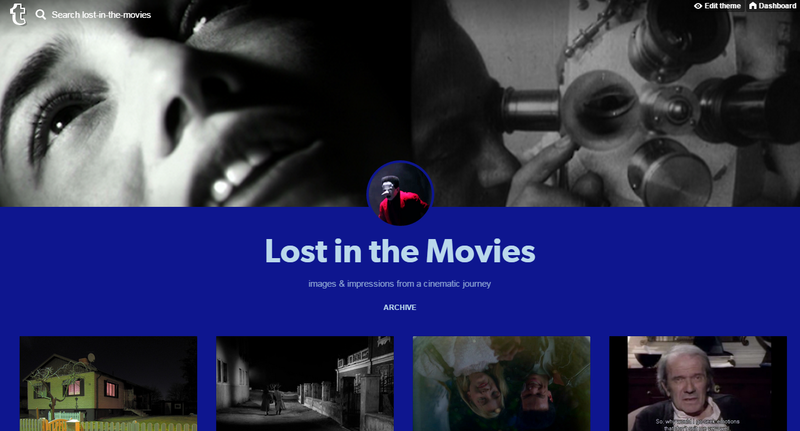 Invitation to Love may have been a fluke – an element where Lynch and Frost didn’t really see eye to eye that nonetheless slipped into season one almost by accident. 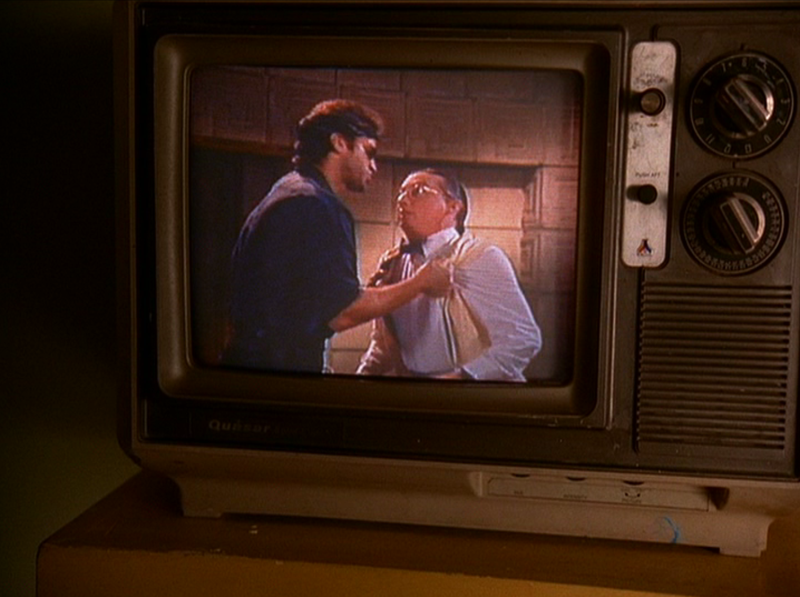 If so, it’s one of the most memorable flukes in TV history, forever lingering as an indelible flourish of Twin Peaks.